Happy Monday, friends! We had the most beautiful weather in the Bluegrass late last week. 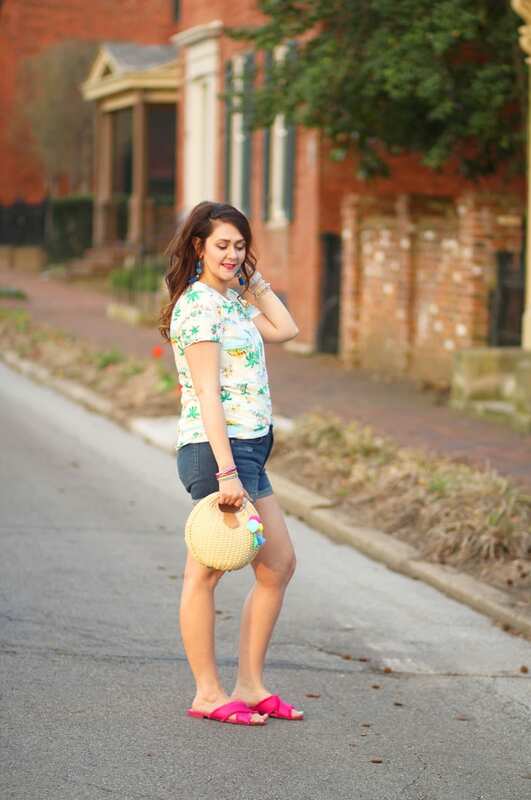 Finally, I got to break out these shorts, which to me are the most flattering jean shorts for spring and summer! It was short-lived, though, because today is in the 40s and rainy. 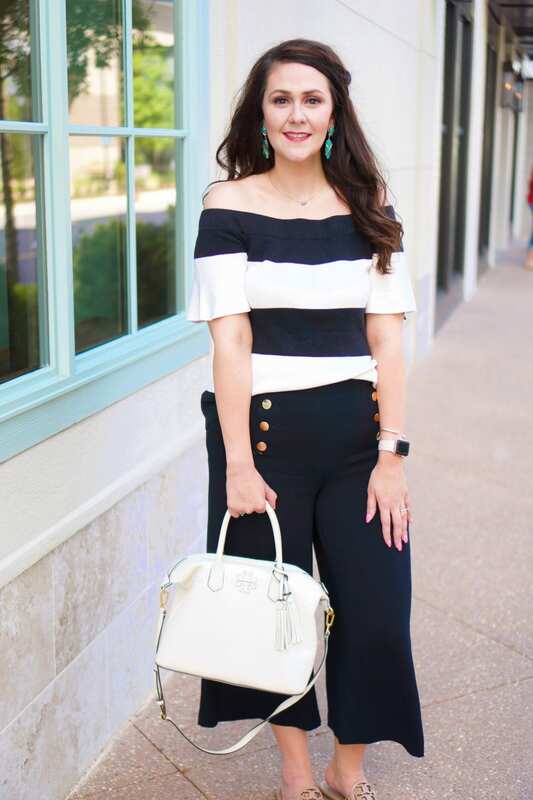 I’m always on the hunt for Goldilocks clothing–you know, clothes that aren’t too big and aren’t too small that fit just right. 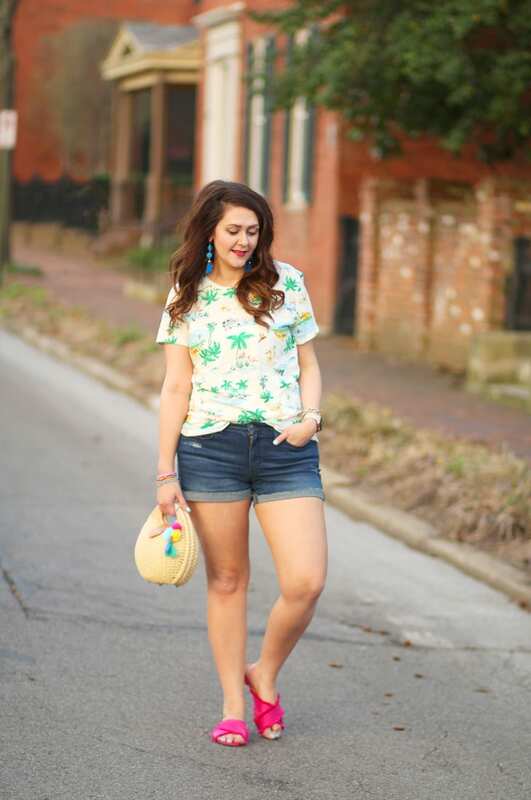 These jean shorts from Target’s new Universal Thread line are Goldilocks shorts, y’all! The 4″ length is perfect. The rise is perfect. And most of all, the amount of stretch is perfect! 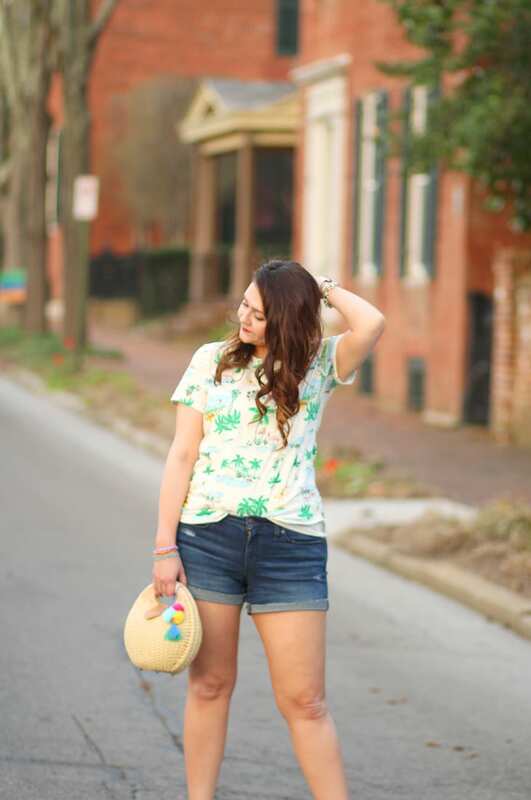 These jean shorts are so flattering and forgiving. Oh, and they’re only $16.99! I also love the unfinished, flipped-up hem for that cool casual look. 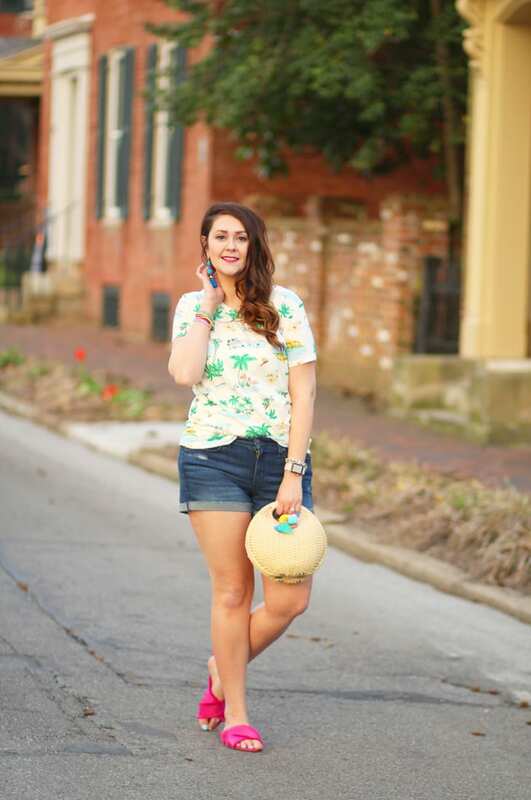 How cute is this tropical print tee from Old Navy? 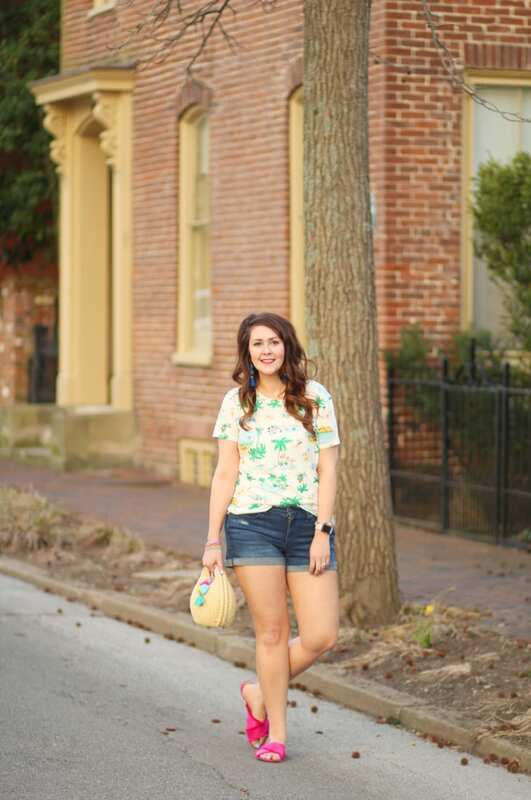 I couldn’t find my exact tee online, but I linked a similar one up above that’s guaranteed to put you in the mood for warmer days! The top trend in sandals is slide sandals, like the hot pink crossover side sandals I have on here. I actually find these comfortable to walk in, and they stay on my foot. They also come in black if you need a good everyday option. 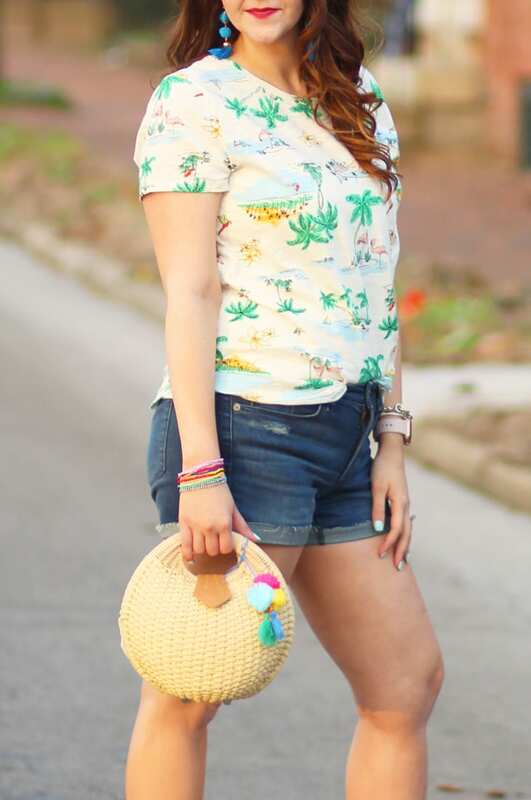 I know y’all have seen this straw bag many times, but I jazzed it up a little bit with this pom tie-on! Now, I looked and looked for a good pom tie-on that was affordable last year, and couldn’t find anything. I spotted this one in the gift bag section at Target–it’s intended to be tied on giftbags and was just $2! It works perfectly on my hand bag. Now I’m off to a dentist appoint. I woke up yesterday morning with a tooth hurting, and it hasn’t gotten any better. UGH. Looks great! 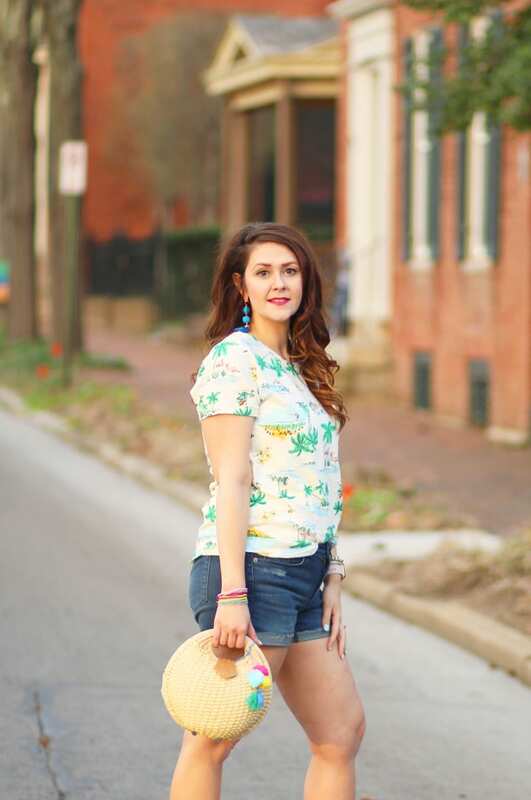 I’m dreaming of warmer weather! 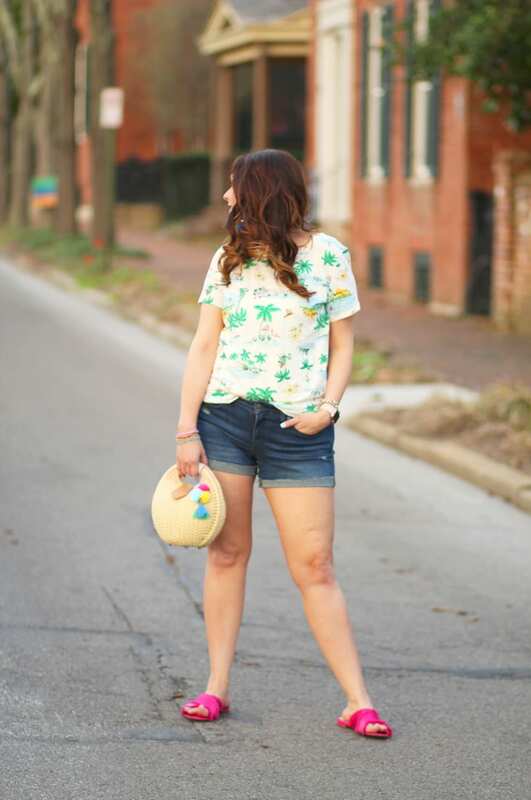 Old Navy had this adorable flamingo print shirt which I didn’t buy in the store and then couldn’t find online! The one you got is cute too. I love the pink shoes with this outfit! 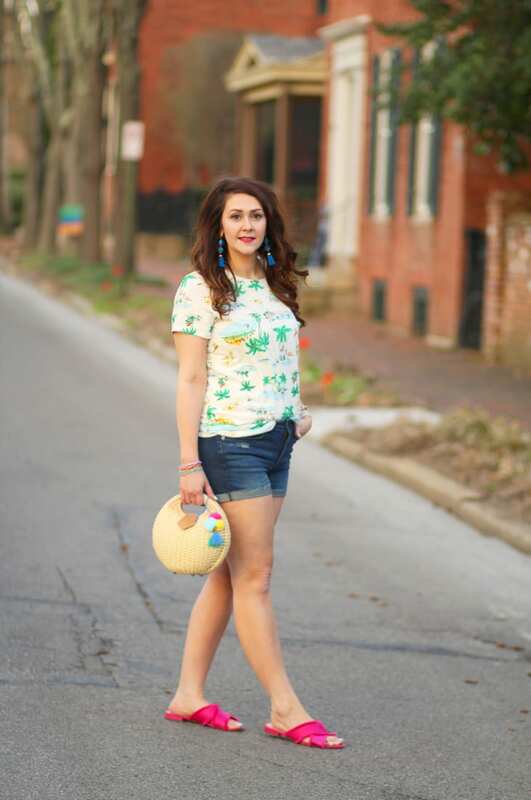 I tried on these shorts a few weeks back and they are perfect! Loving that cute little bag.